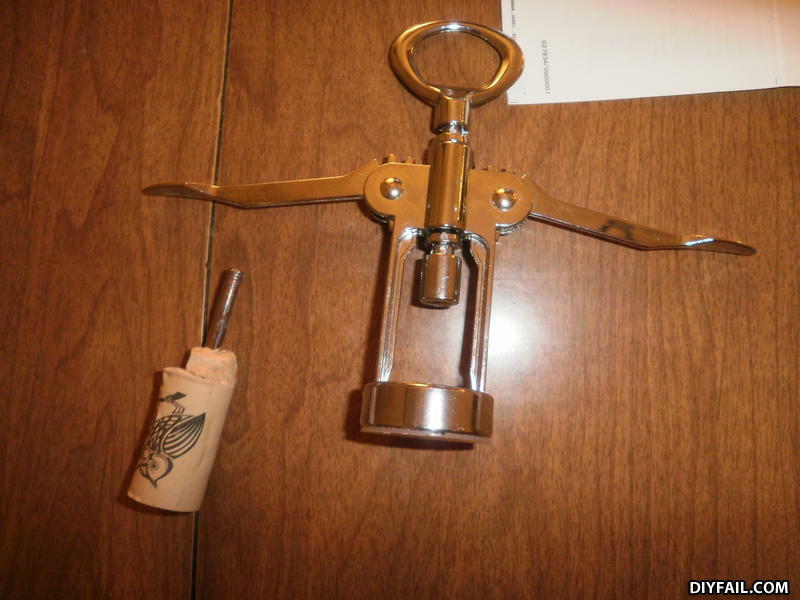 Introducing: the John Wayne Bobbit corkscrew. It doesn't do anything useful and spends it's days trying to prove it's still a man. You forgot to soak the cork. An enjoyable evening ALWAYS starts off with a good cork soaking. Next time you want to take a girl out, ask her right away if she knows how to soak cork. Also, most gay guys know how to soak cork, too. The bottle is open. So it's a win.